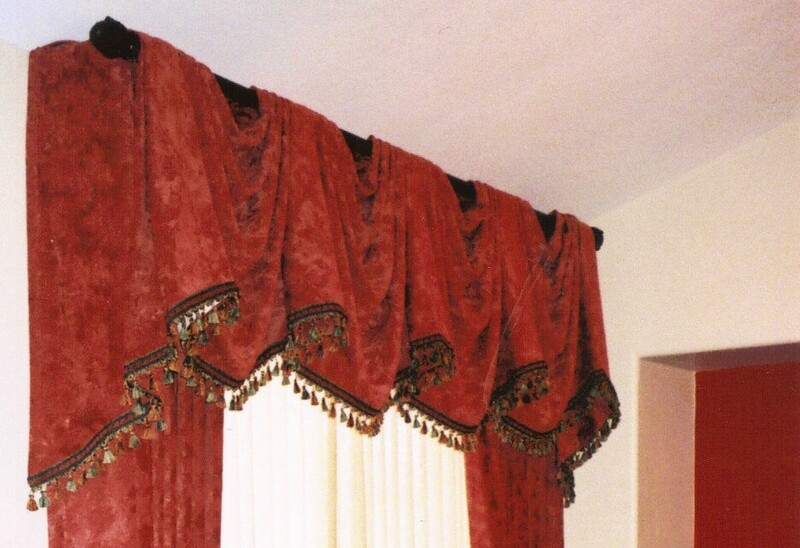 This was a beautiful application of a “Pick-Up” Valance. Of course the Passementerie embellishments make the look. Can you imagine it without the trim? 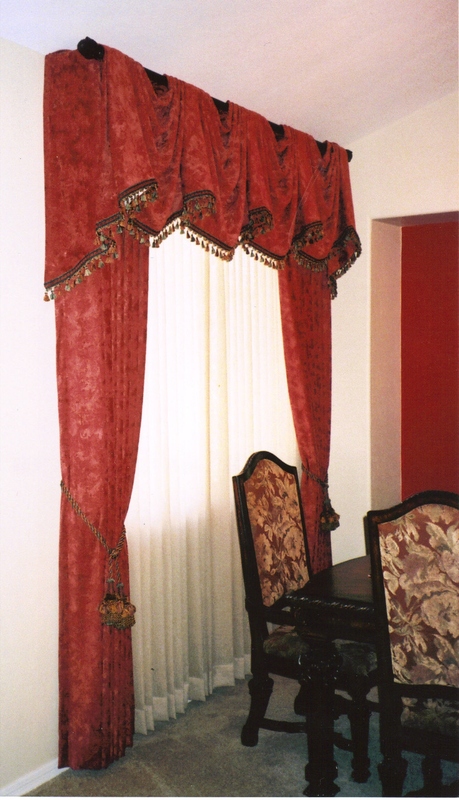 Additionally, the Bouclé sheer fabric was essential for it’s sense of weight to compliment the fabric panels, top treatment and the heavy statement of the dining set. 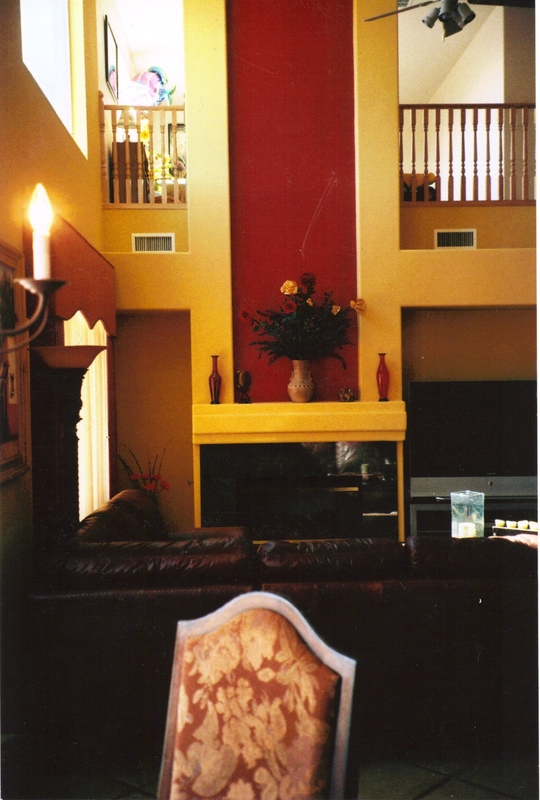 The beige color walls compliments the sheer color and the red painted wall nook carries the red around the room for better balance. 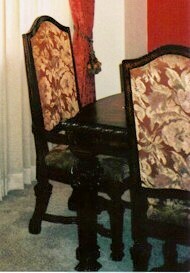 The chairs are not red, but the pattern is complimented by the red. 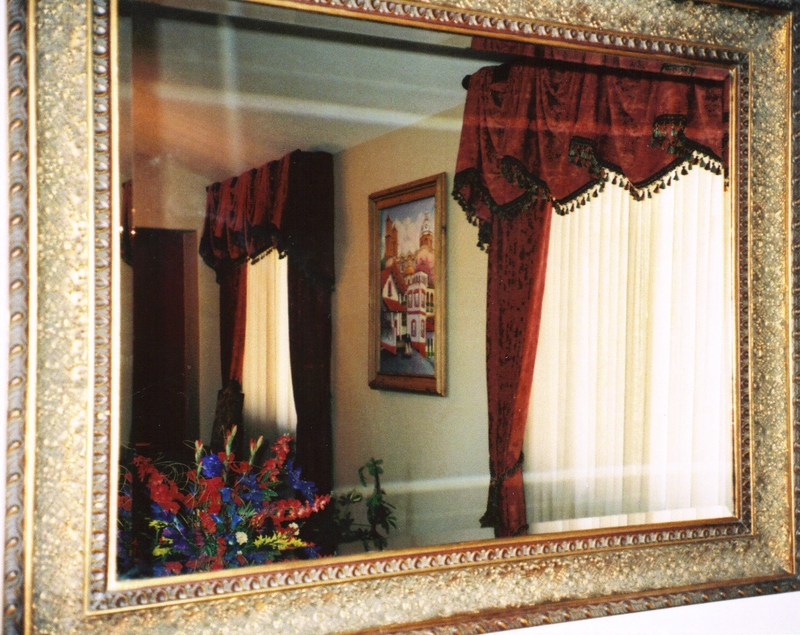 The trim on the window treatments introduces a blue which is carried into the space with a floral arrangement on the opposite side of the room. 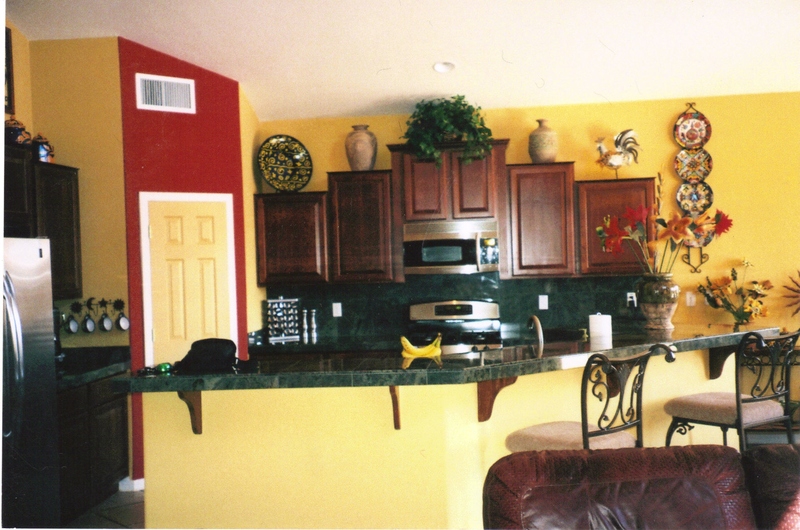 The client decided on her own to use the bright yellow with the red in the adjoining kitchen/great room. Ms. SpoolTeacher would have rather seen the beige continued. A designer only has so much sway. Who is to say what is right or wrong. The client is the one who lives with it. 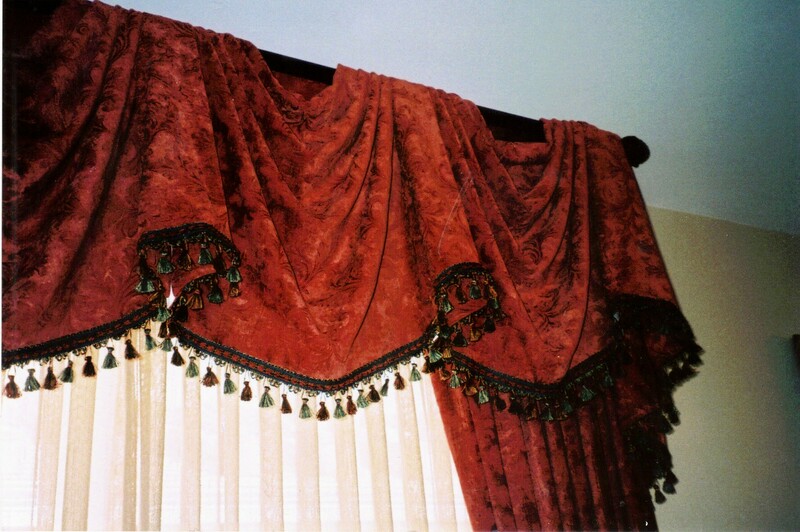 The Bouclé sheer fabric was on back-order forever. The client was not patient. These things are very common in Custom. When something is unusual and used less than mass production, waiting is part of the equation. The manufacturers need to wait until enough orders constitute production.